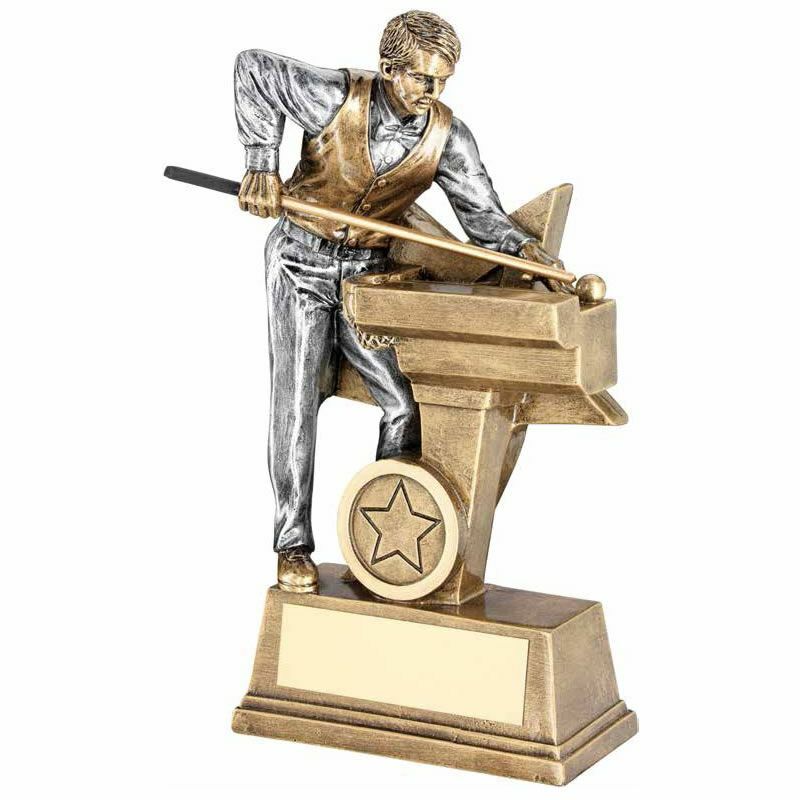 These snooker trophies are crafted in durable resin with a silver and bronze colour finish. They feature a detailed figure of a snooker player taking a shot, against a star theme background and with a 1in centre at the foot. The award is mounted on a bevelled base with engraving plaque and is available in three size options.